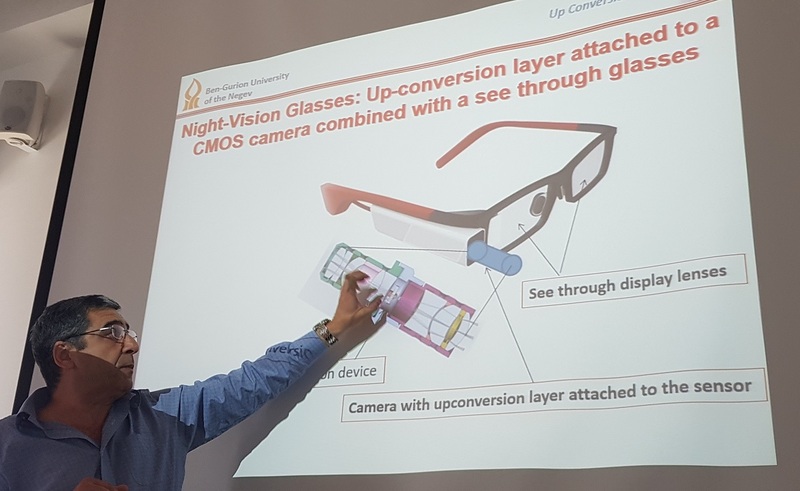 Nocamels, The Times of Israel: Gabby Sarusi from Ben-Gurion University of the Negev "has developed a stamp-like device of which one side reads 1,500-nanometer infrared wavelengths, and converts them to images that are visible to the human eye on the other side of the stamp. 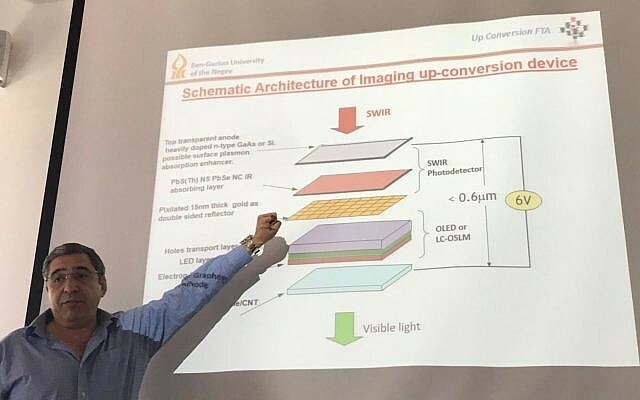 This stamp — basically a film that is half a micron in thickness — is composed of nano-metric layers, nano-columns and metal foil, which transform infrared images into visible images. 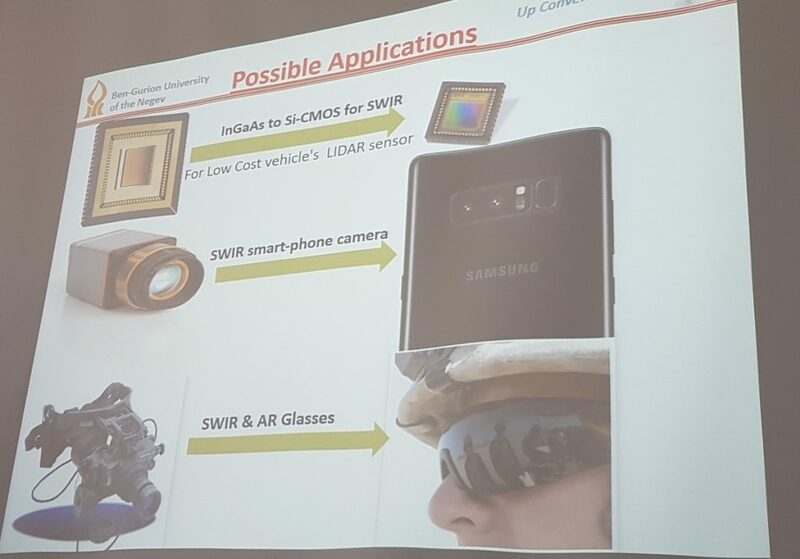 An infrared sensor costs around $3,000, Sarusi said. A regular vision sensor used by autonomous cars costs $1-$2. So, by adding the nanotech layers, which cost around $5, Sarusi said, one can get an infrared sensor for about $7-$8." Thanks to DS for the pointer!